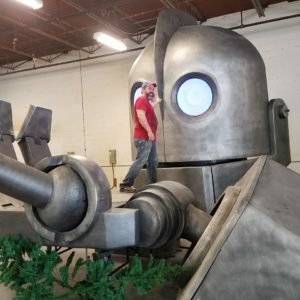 The Grand Rapids Comic-Con is happy to bring in Brazen Monkey’s giant robot display! What an amazing item for a photo opportunity at the show–you can judge its size by the full grown male in the pictures. Absolutely mammoth! Photo ops will be available at a cost with partial proceeds donated to the Make A Wish Foundation. 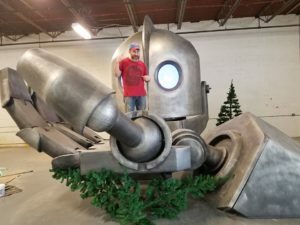 John Marks is the creator of the giant robot, and has been creating art for 30 years. He does everything from sculpting, special effects make-up, and prop building. 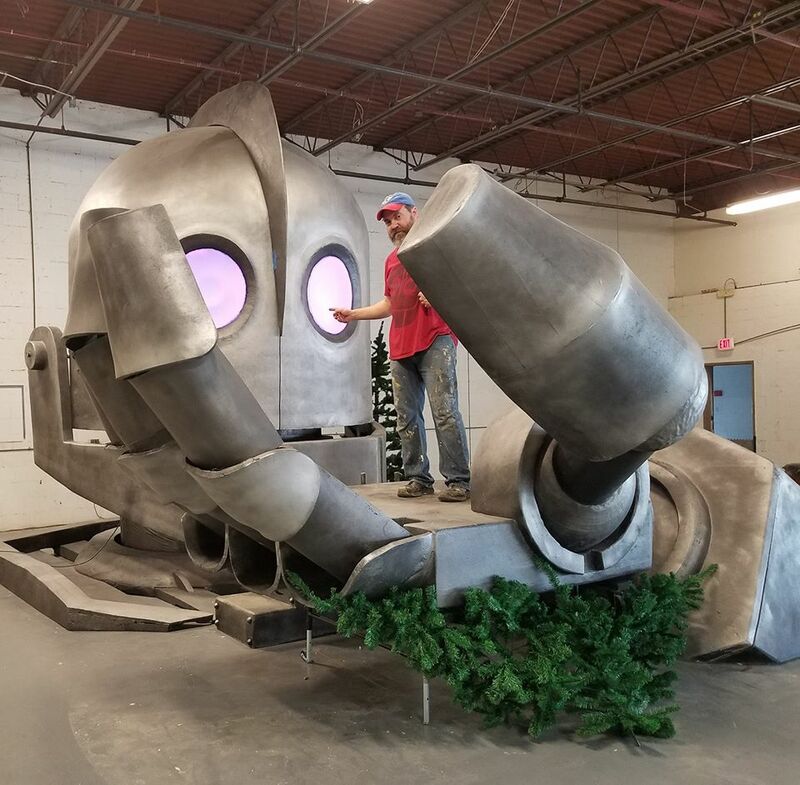 If you can dream it, John can build it! Fore more information, visit Brazen Monkey’s Facebook page here.